Some people like it AMG. Others prefer the BRABUS touch. 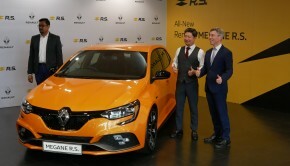 What they’ve been able to do with the standard A250 is incredible. 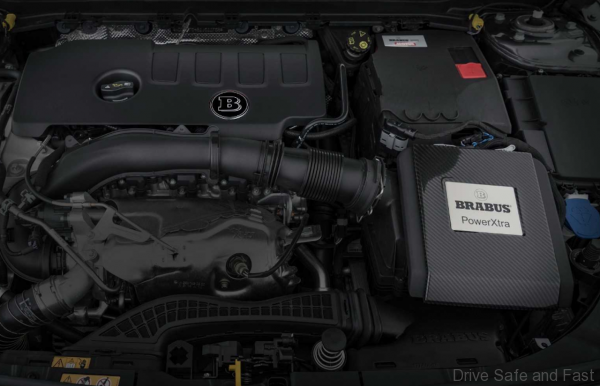 The BRABUS PowerXtra B 25 S performance upgrade bumps the output of the A250 to 270hp (+46hp) and the torque to 430Nm (+80Nm), enough to accelerate the compact athlete from rest to 100 km/h in just 5.9 seconds. 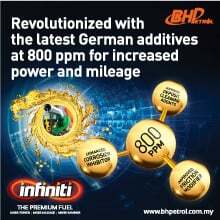 This performance upgrade is available for all current A 250 models with front-wheel drive or 4MATIC all-wheel drive. 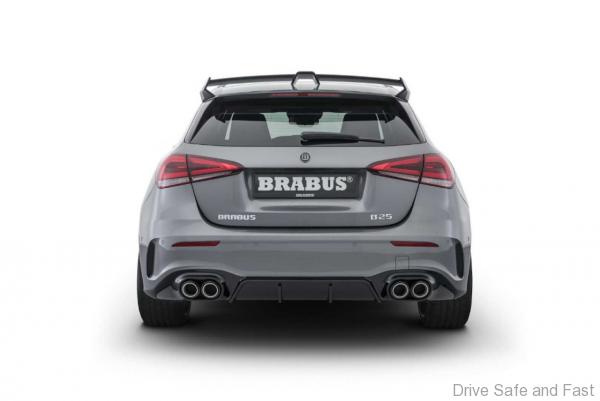 The all-stainless BRABUS sport exhaust system with actively controlled exhaust flaps is the perfect complement to the performance upgrade. 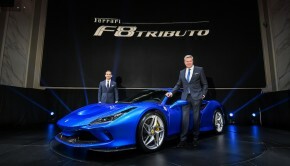 This offers a wide range of exhaust notes from decidedly subtle to thrillingly sporty. 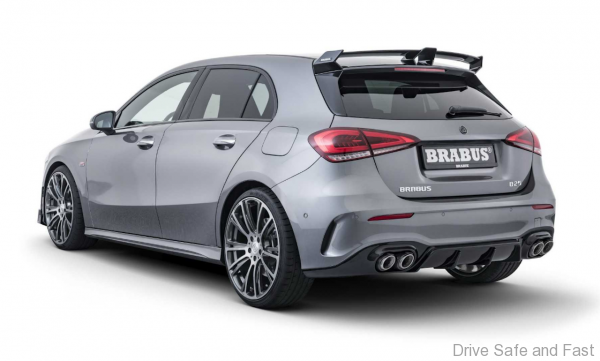 It either can remain visually discreet, because it is invisible as on the production car, or be combined with the BRABUS diffuser and the four characteristic stainless /carbon exhaust tips. 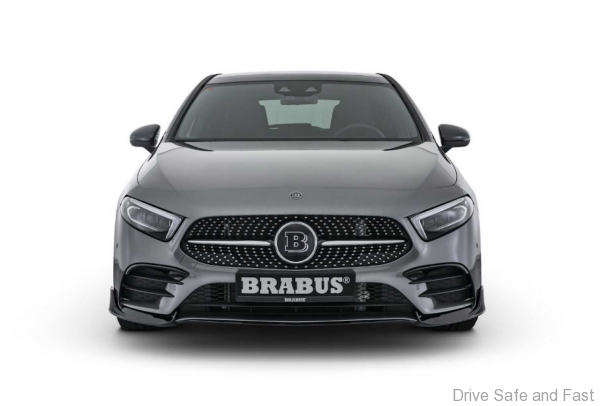 The new BRABUS aerodynamic-enhancement program is characterized by sporty elegance and is manufactured in OEM quality from high-grade PUR material. 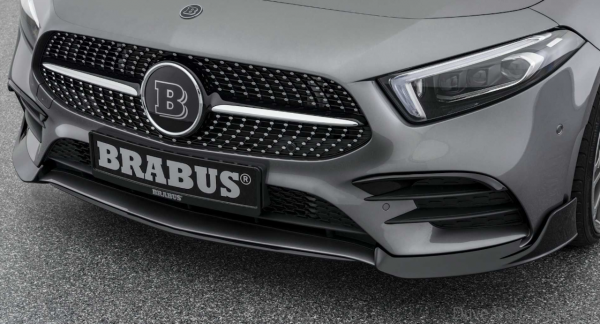 The two-piece BRABUS front spoiler is designed to bolt to the lower section of the production fascia. The flaps with raised sides play their part in further reducing front-axle lift at high speeds. 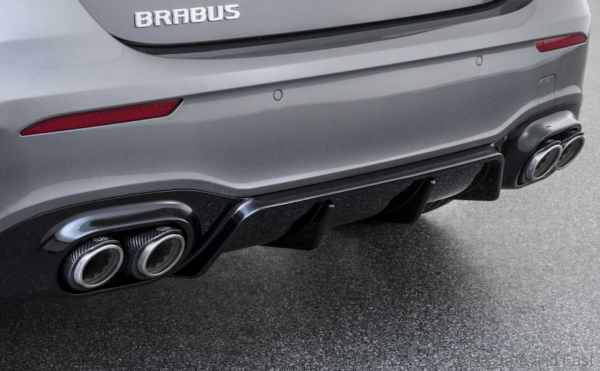 The two BRABUS elements attached above the two horizontal braces are shaped to direct the airstream optimally to the side air intakes in the fascia. 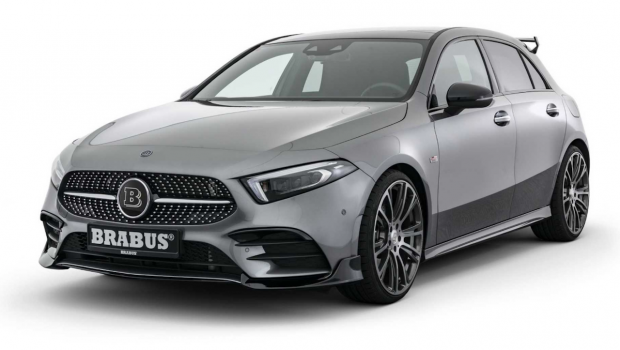 BRABUS Monoblock alloy wheels increase the fascination exuded by the new A-Class and give the car even more agile handling. 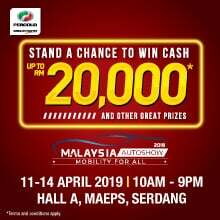 To this end, the BRABUS suspension engineers and test drivers developed tailor-made tire/wheel combinations with diameters of 17, 18, 19 and 20 inches. 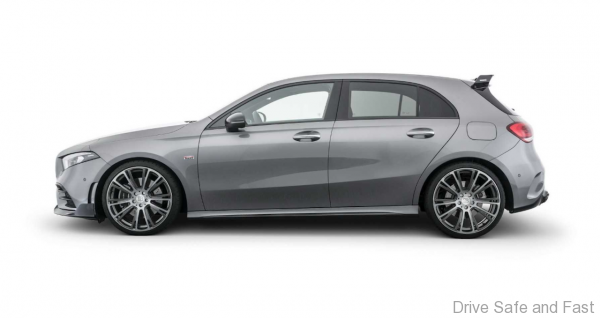 Of course, BRABUS also offers a host of refinement options for the interior of the refreshed Mercedes A-Class. 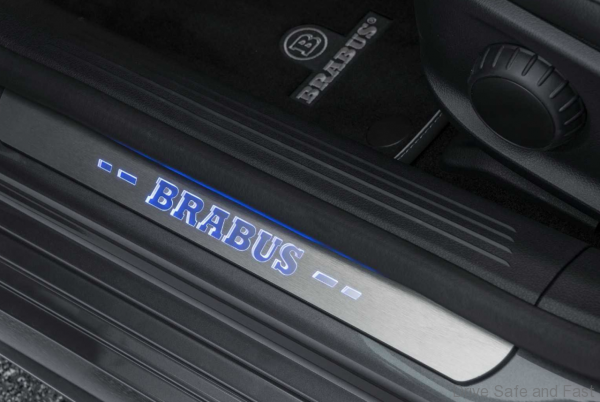 The product range includes stainless-steel scuff plates with backlit BRABUS logo, BRABUS aluminium pedals and high-quality velour floor mats with BRABUS logo. 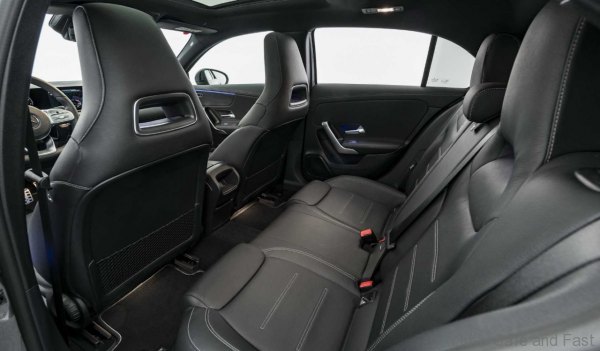 The company upholstery shop fulfils special requests for the interior with a BRABUS fine leather interior. To this end, the upholsterers process especially soft and yet particularly durable BRABUS Mastik leather and fine Alcantara with great love of detail. There are endless choices with regard to the colour and design of the upholstery and to the extent of the work: The spectrum ranges from a completion of the production leather appointments to an exclusive BRABUS all-leather interior.